Barcelona face a tough Copa del Rey quarter-final second leg in Malaga this Thursday evening. A last-minute equaliser from Ignacio Camacho silenced the Nou Camp a week ago and gave the Andalusians a possible edge with a 2-2 draw to take to the Costa del Sol. However, Copa del Rey holders Barcelona rarely slip up twice against the same foe and are priced at a very reasonable 11/25 to win Thursday’s second leg outright at La Rosaleda. Malaga can be backed at 25/4 for a shock victory, while a draw at 16/5 could also be enough to eliminate Barca on away goals. One possible source of encouragement for Manuel Pellegrini’s men is that Barca have been giving a few key players a breather in this year’s competition. Midfield metronome Xavi has started just one tie and first-choice goalkeeper Victor Valdes, who recently announced he would not be extending his contract with the club beyond 2014, yet to line up for a Copa del Rey match this campaign. 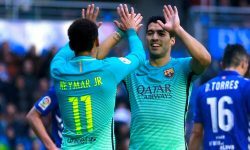 Having said that, Lionel Messi and Andres Iniesta did both start the first leg against Malaga and with Barcelona keen to progress to a potential semi-final showdown with arch-rivals Real Madrid, a strong line-up could be on the cards for the Catalans. 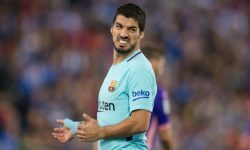 It should also be remembered that Barca finally lost their first match of the Primera Division campaign last weekend – spurning a 2-0 lead before going down 3-2 in a thriller at Real Sociedad – and so it would be no surprise to see Malaga on the receiving end of a major backlash. Backing Barcelona to win a match with four goals or more at 9/5 looks highly enticing given their incredible form this season and the fact that 21 out of their 33 matches in all competitions have seen four or more goals. It is easy to foresee Malaga setting out to frustrate the Catalans in the hope of playing out a goalless draw that would see Pellegrini’s men through on the away goals they bagged in the first leg. But should Barca, who are likely to have more quality than the hosts whoever they field, break through the Malaga rearguard and score early, then a lively encounter could ensue as Malaga try to claw their way back. Punters may be surprised to hear that Malaga boast La Liga’s meanest defence, with just 17 goals conceded in 20 Primera Division games this season. 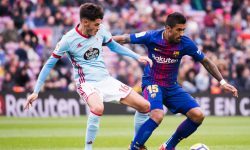 That suggests they might have the wherewithal to frustrate Barcelona, but in resting exciting young playmaker Isco and the experienced Martin Demichelis for the first leg, Pellegrini indicated that the cup isn’t perhaps a huge priority for a relatively small squad chasing Champions League qualification. Odds of 23/2 are available on a 0-0 draw, but with Barcelona winning 3-1 in Malaga in the league less than a fortnight ago, I expect another high-scoring away triumph.